This past Sunday, I wrote a blog post about how I used 1940 enumeration district maps to figure out just where my grandmother and great-grandparents were living at that time. From about 1934-1940, they were living at 3591 East Blvd, which has since changed names to Martin Luther King Jr Dr. Once I sorted out the mystery of the street name change, I plugged the address into Google Street View and found an image of the old home. Nothing really surprising - it's an old, large home on a fairly long, but narrow, lot. My great-grandparents were only renting it at the time, and another family is shown living at the same address in the 1940 census, so they only occupied either the upper floor or the main floor. I then decided to look through some of the old 1930s photos that my grandmother had saved. My great-grandparents loved to take photos of their girls standing with each other, not unlike what most parents (including myself) do today with their kids. I have several from this period of the 1930s when they were living in this house, but one in particular caught my eye. It's blurry and doesn't really do justice to my grandma and her sister, but I was more interested in the setting and background. Thankfully, my grandma (shown on the left) was pretty good at labeling photos with the proper dates, so I know this one was from September of 1935. (She didn't label it as such, but if it was a special occasion, it may have been around her 21st birthday.) But there are bunches of homes in this part of Cleveland with brick porches very similar to what the photograph shows; how do I know that they were standing at the same home shown in Google Street View? Check out that porch post right over the back of my grandmother's shoulder. It has a nice, unique little diamond decorative touch to it. I tried to zoom in as far as I could on the home in Google Street View; the resolution isn't great, but there is enough there to convince me. That's it! That's the pillar in the picture. Usually seeing these older homes in disrepair makes me sad, but in this case, I am glad nobody has painted over that pillar. My grandma and her sister took that photo on that porch almost 80 years ago, and before now, I didn't know where it had been taken. I think this is pretty good proof that I've figure it out. 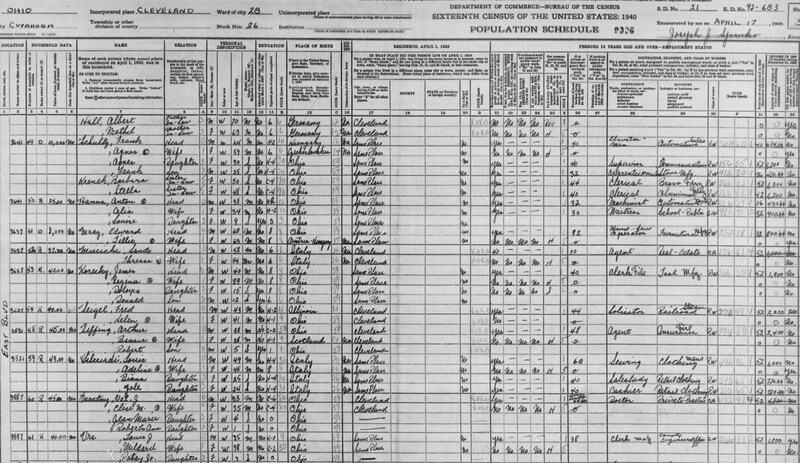 This past Sunday, I wrote a blog post about the family of George and Rosalie (Jardot) Voisinet, French-immigrants who were my husband's 5x great-grandparents. 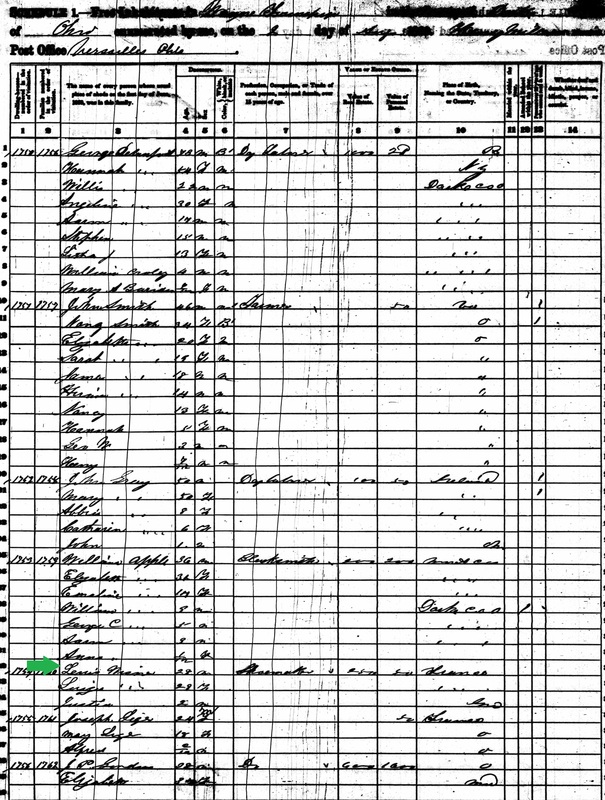 George and Rosalie immigrated to America in 1852 from Evette, France and settled in Loramie Twp, Shelby County, Ohio. They are buried in St. Remy Cemetery in Russia, Ohio. A nice, detailed history of the St. Remy Parish can be found at this link.